Whataburger has brought back their classic "A1 Thick & Hearty" burger, and one fan was so excited he penned a song to mark the occasion. 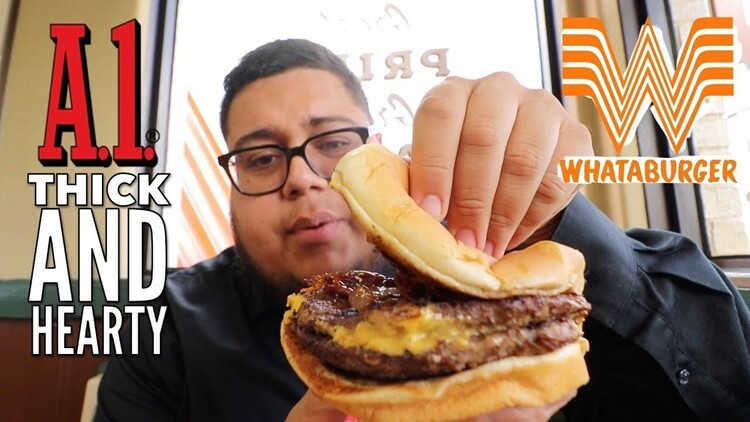 SAN ANTONIO — Whataburger has brought back their classic "A1 Thick & Hearty" burger, and one fan was so excited he penned a song to mark the occasion. Full Nelson says his YouTube channel is mainly dedicated to food reviews. The YouTuber says that he loves showcasing the local restaurants of San Antonio, but also creates travel vlogs from his experiences around the world. To accompany the tune, Full Nelson has also reviewed the "A1 Thick & Hearty" burger on his YouTube page. He says the burger is "very simple, but very delicious," made even better by the marriage of "the saltiness from the cheese and the savoriness of the A1 sauce." Watch the full video and check out the rest of Full Nelson's content on his YouTube channel.